Associate Professor Mikala Egeblad with her Ph.D. mentor, Professor Marja Jäättelä of the Danish Cancer Society Research Center, who selected her to be the next recipient of the Suffrage Science life sciences brooch. Scientific discoveries are a kind of intellectual heirloom, passed down across generations to scientists who add to the collection of knowledge during their own lifetimes. Associate Professor Mikala Egeblad recently received a different kind of scientific heirloom: handcrafted jewelry inspired by research and the Suffragette movement. 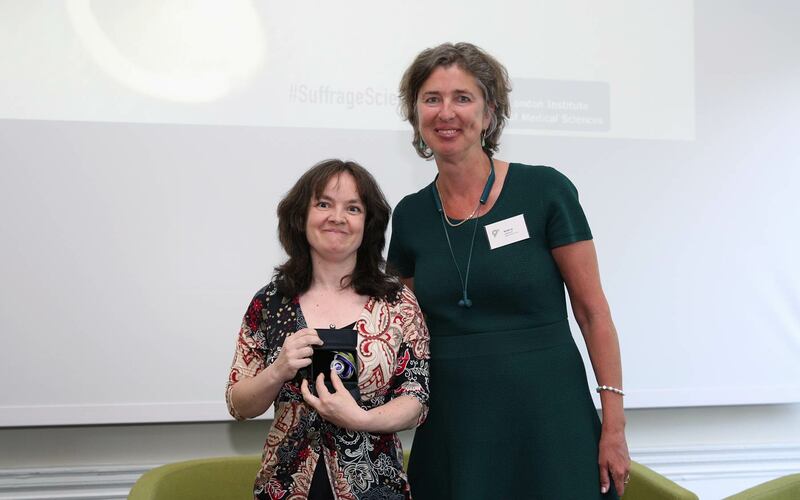 On June 6, Egeblad and 10 other female scientists from around the world were presented with the jewelry at the Suffrage Science awards ceremony, held at the Academy of Medical Sciences, London. The awards honor women in science, with the aim of encouraging more women to enter science, stick with it, and reach senior leadership roles. Rather than having committees select the winners, each winner selects who will get the heirloom jewelry next. 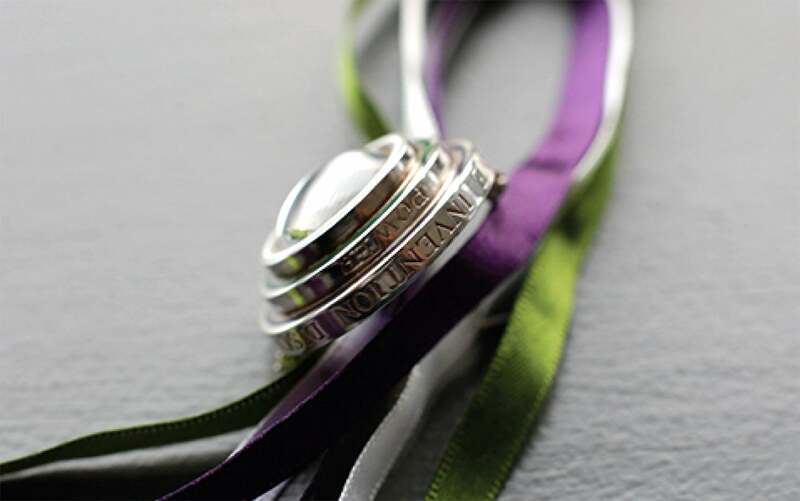 The scientific heirloom jewelry that Egeblad received is a brooch with a magnifying glass, inscribed with the words ‘invention’, ‘discovery’, ‘innovation’, ‘creativity’ and ‘power.’ At the award ceremony, Jäättelä noted that the magnifying glass design fits well with Egeblad’s research, as she is known for her use of powerful microscopes that can image biological processes in live animals. Egeblad’s cancer research lab focuses on understanding the network of immune cells, blood vessels, chemical signals, and support structures that make up what is known as the tumor microenvironment. 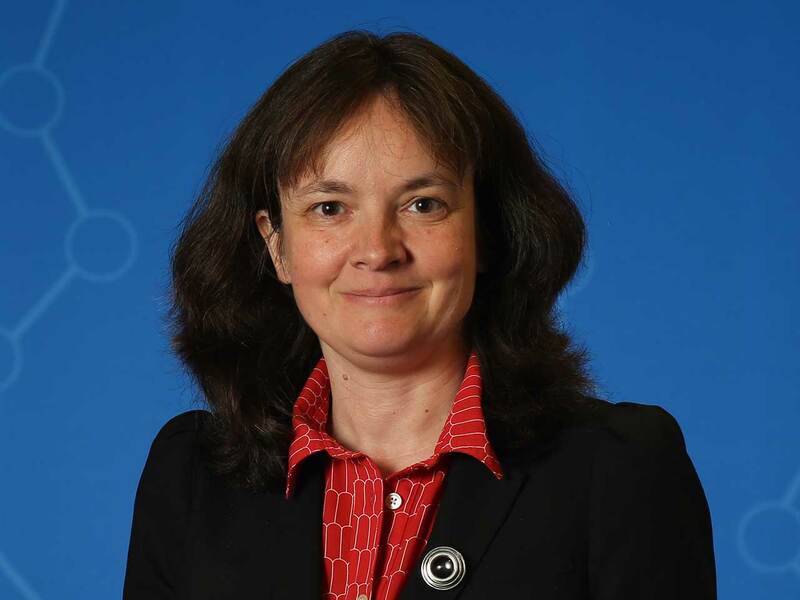 Her team recently revealed that cancer cells can hijack certain immune cells. Weapons that immune cells normally use to defend against invaders like viruses become tools that the cancer cells use to spread to new areas of the body.